Members of this Ross group targeted Stand Watie and his brother, Elias Boudinot, along with their uncle, Major Ridge for assassination. 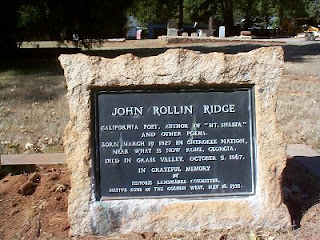 On the morning of June 2, 1839, John’s father, John Ridge, was dragged from his bed by some of the tribesmen of The Anti-Removal National Party and murdered as his wife and children, including young John, looked on. This event would color John’s life until the end. 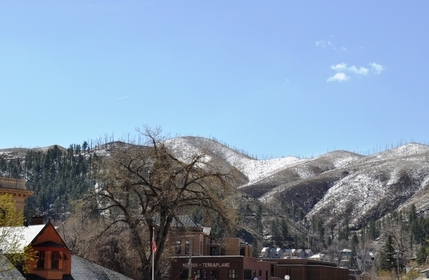 The Ridges lived an idyllic life. But John’s health failed him at the age of thirty-nine. He became afflicted with “softening of the brain,” a disease that took its toll quickly through the spring and summer of 1867. John Rollin Ridge, Yellow Bird, died on October 5, 1867, leaving behind a collection of fine articles, sketches and poetry. In 1868, Elizabeth published an anthology of his poetry. 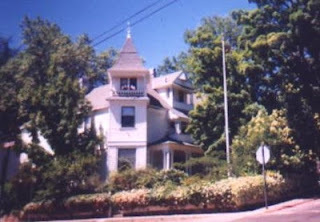 The Maple tree on the right was planted by Elizabeth (Wilson) Ridge's - Rollin's wife. The tree was brought back from Gettysburg by Alice Bird in 1876. On 10/10/1976, a plaque was mounted on the tree for a dedication. California Poet, Author of "Mount Shasta"
I want to offer a copy of my book, FIRE EYES, today to one lucky commenter. Please leave your contact information along with your comment to be entered in the drawing. The story of Dale Evans and Roy Rogers might read “Queen of the West marries King of the Cowboys to travel Happy Trails together.” But no matter how famous they became, their lives were plagued by heartache as well as happiness. Strangely enough, Dale’s story starts similar to my own. She remembers sitting on the banks of the Uvalde River south of San Antonio and dreaming about Tom Mix (instead of the far superior Roy Rogers about whom I dreamed). She planned to grow up and marry Tom Mix, and of course, she believed he would remain the same while she aged. Little girls and their fanciful imaginations, right? But that’s where any resemblance disappears. 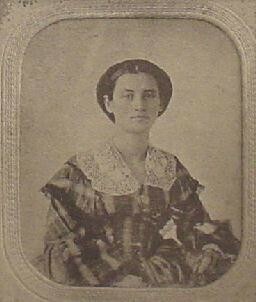 Dale began life as Frances Octavia Smith on October 31, 1912 in Uvalde, Texas, the daughter of a Baptist minister and his wife. She was the first grandchild and received plenty of attention. She loved being “on show.” The precocious Frances eloped at the age of fourteen with a boy four years older, Thomas Fox, by lying about their ages. A year later, living with her husband’s parents, she gave birth to Tom, Jr. But Tom asked for a divorce when Frances was sixteen, insisting they married too young. 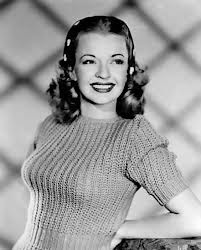 Frances’ name was changed by one of her producers because he said Dale Evans sounded good on the air. During a career as a radio and band singer, Dale remarried briefly and divorced. 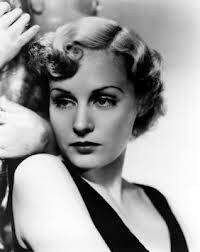 Her singing took her to Hollywood where eventually she was signed for movies. She envisioned herself as a grand musical star, but learned she needed more than ballroom dancing to do the extensively choreographed tap and ballet routines of the 1930's movies. Roy was born Leonard Slye on November 5, 1911 at 412 Second Street in Cinncinatti, Ohio. 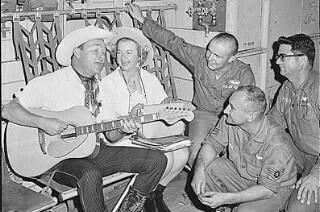 He loved singing and playing the guitar and traveled in several musical groups, including the famous Sons of the Pioneers, before signing as a western star. A producer changed his name. 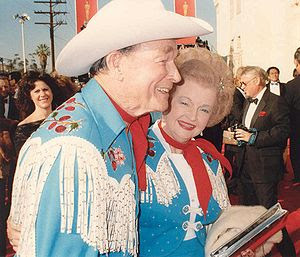 Will Rogers’s popularity accounts for Roy’s last name, and the producer found the alliterative name Roy Rogers held appeal, citing that Roy means king in French. 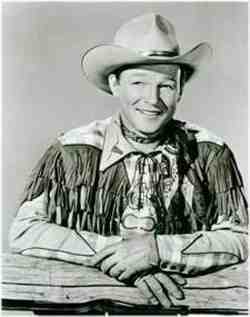 Dale’s acting career was less than spectacular until cast opposite Roy Rogers in “The Cowboy and the Señorita.” Since she was from Texas, casting thought she could ride a horse. As she galloped down a hill behind Roy, she bounced so hard her caps actually flew off her teeth. Her experience convinced her to take riding lessons, and Roy also gave her pointers. She wanted to be a “serious actress” and westerns didn’t fit her career plan. After bouncing back and forth between popular westerns and serious flops, she realized that westerns starring opposite Roy Rogers might be her forté. At the time, Roy was happily married to Arlene (nee Wilkins.) Eight days after giving caesarian birth to their third child, Arlene died of an embolism. 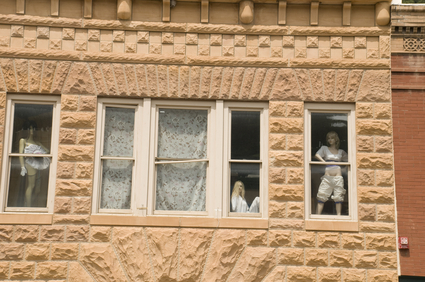 Roy was grief stricken and left to raise Cheryl, Linda, and Dusty (Roy Jr.). Over a year later, as the featured entertainers at a Chicago rodeo, Roy proposed to Dale while on horseback in the arena. They were married New Year’s Eve, 1947 at the home of Bill and Alice Likens’s Flying L Ranch in Oklahoma. They hoped to avoid the spectacle a Hollywood wedding would create, plus that was close enough for Dale's Texas relatives to attend. They neglected to take into account Oklahoma weather and other disasters. Snow and sleet made the minister two hours late. Roy and his best man were late coming downstairs due to extinguishing a fire in a bedroom they passed. Someone had tossed a cigarette into a wastebasket and started a blaze. At age thirty-seven, Dale learned she and Roy were expecting a baby. Trouble dogged the pregnancy: Dale contracted German measles in her second month, had to be bed fast twice, and developed anemia. On top of that, she was Rh-negative and Roy was Rh-positive. On August 26, 1950, Robin Elizabeth Rogers arrived. She had Mongolism, or what is now called Down syndrome. Robin lived only three years. Their acceptance of Robin's disability and Dale's book also won many fans--fans who faced similar challenges. Instead of sheltering or hiding their children at home as was the custom of the time, parents brought them to concerts where they cheered Dale and Roy. Dale’s book about Robin’s life and death, ANGEL UNAWARE, sold hd over a million copies and had gone through twenty-nine printings by 1994. The title is based on the verse in Hebrews: “Be not forgetful to entertain strangers; for thereby some have entertained angels unawares.” Dale also authored eighteen other Christian-themed books. With Roy, she co-authored two books about their life. Readers will probably recognize two of Dale’s many published songs, “The Bible Tells Me So” and their theme song of “Happy Trails.” After hearing and squawking (my version of singing) out "The Bible Tells Me So" as long as I can recall, I admit I believed it an old-time gospel song. I don't believe I ever saw actual sheet music, so I hadn't a clue that Dale Evans was credited as sole songwriter. In addition to Robin, Dale and Roy lost two of the children they’d adopted: Debbie, their half Korean/half Puerto Rican daughter from Korea died in a bus crash at age twelve; and Sandy, a formerly abused son from the US who died while he was in the Army stationed in Germany. 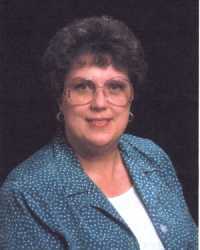 Their other children grew and married, Dodie, the youngest in 1989. Then Dale and Roy were left in their large home alone, except for the time they spent playing with their grandkids, and entertaining at a few special guest appearances, such as with Billy Graham's Crusades. 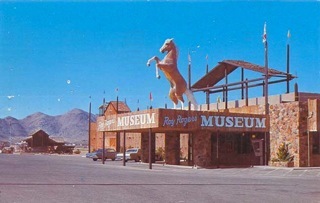 They opened the Roy Rogers museum across the road from their Apple Valley Ranch. Roy made his last movie, “Mackintosh and T.J.” in 1976. 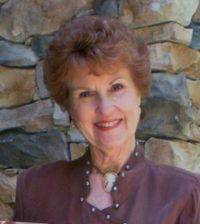 Dale had a faith-based radio show for many years after that and continued her writing. stuffed when he died and mounted on Trigger. 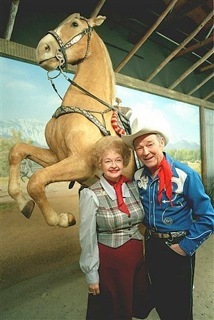 The Roy Rogers Museum moved to Branson. But in 2009 it closed and the items were auctioned off. I almost cried when I heard the closing announced. How I would have loved to have anything that had belonged to the duo. But after 42 years, attendance had declined. Roy had told Roy Jr. that if the museum ever started costing money, he should close it and move on. Not all their dreams came true, but in fifty years of marriage, their love and high standards still serve as an example for their fans. Thanks, Dale and Roy, for all the pleasure you brought me an countless others. 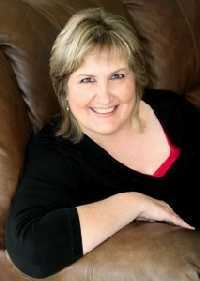 Caroline Clemmons is the Amazon bestselling author of western romances. 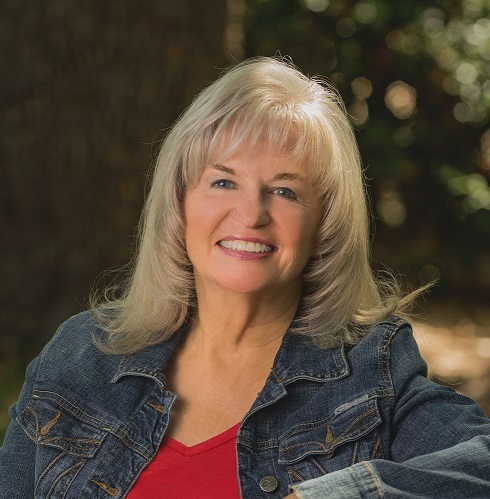 Her recent release, BLUEBONNET BRIDE, is book three in her acclaimed Men of Stone Mountain series.She and her husband live in Texas cowboy country. When a tornado provides Rosalyn with the opportunity to escape the gallows, she collects her daughter Lucy and flees. They travel far enough West that Rosalyn believes she’s gone to the ends of the earth. She hopes she and Lucy will be safe in this remote North Texas town where she embarks on a new life as a dressmaker. If only she could avoid contact with people, especially the handsome sheriff who pops up every time she turns around. What if she and her chatterbox daughter slip and reveal too much? 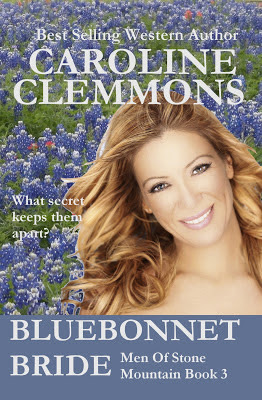 To celebrate Sweethearts Month at Sweethearts of the West, Caroline will be giving away a copy of BLUEBONNET BRIDE to one commenter. 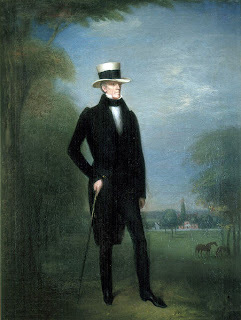 Even though he was known as the “People’s President” when elected as the 7th U.S. President, Andrew Jackson was not known as an endearing man. Often demonstrating a volatile temper and aggressive behavior, Jackson was nicknamed “Old Hickory,” (also due in part to the rugged life he led as a frontiersman). However, despite his toughness, when loved called, Andrew fell hard. Born in 1767, Jackson was twenty-one in 1788 when he met Rachel Robards, a beautiful, vivacious young woman, while staying at her mother’s boarding house in Tennessee. At the time, Rachel, also born in 1767, was married to a man named Captain Lewis Robards, who was known for his jealous outbreaks. In 1790, when Jackson heard of Rachel’s separation from Robards and subsequent divorce, he immediately courted her. The two fell deeply in love and solely devoted to one another, married in 1791. Two years into their marriage they discovered Rorbards had never divorced Rachel. Supposedly a divorce proclamation had been published in a newspaper owned by Robard’s friend, but Lewis had not obtained an actual divorce. 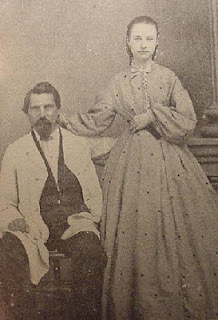 Not only was divorce frowned upon at the time (Rachel’s was the first divorce in Kentucky), Andrew and Rachel refused to refrain from living together and Rachel continued to refer to herself as Mrs. Jackson. When her divorce was finalized in 1794, the two married again. Many disparaging and cruel remarks were made against Rachel, and Jackson spent a good amount of time in duels defending his wife’s honor. In one such duel, Jackson was struck by a bullet, which was lodged so close to his heart it could never be removed. During their 37 years together, Andrew and Rachel adopted three sons, Theodore (an orphaned Indian little is known about), Andrew Jackson, Jr. (the son of Rachel’s brother) and Lyncoya (a Creek Indian orphan who died at the age of 16.) 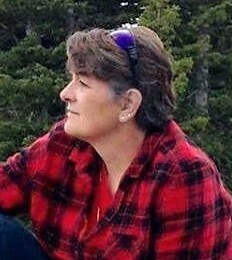 They also acted as guardians to eight other children, three of whom where Rachel’s brother’s children, one her great nephew, and three others who came to live with them after their widowed father, a friend of the family, died. Though Rachel was known as a gentle, generous and religious woman, during Jackson’s bid for Presidency in 1828 his enemies insulted her non-stop, citing Rachel as a woman of loose morals and a bigamist. Despite all, Jackson won the Presidency in a downslide. However, two weeks later in December 1828, two months before her husband would take office, Rachel died of a heart attack. Jackson, refusing to believe his beloved was dead, insisted she be covered with blankets so she wouldn’t get cold before waking. Ultimately, he built a tomb for her in her flower garden, and according to family, visited her grave every night before retiring. 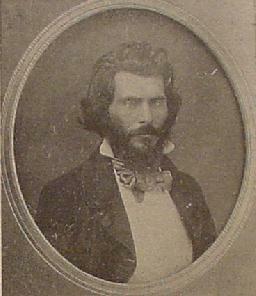 Andrew blamed his political opponents for her death, and never forgave them. 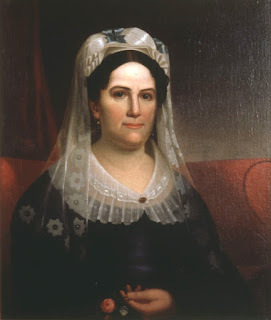 He appointed one of Rachel’s nieces, Emily Donelson (who was married to Rachel’s nephew), to act as his ‘First Lady’ fulfilling the role of hostess of the White House. Emily became estranged from Jackson during the Petticoat affair. (A scandal created by one of his cabinet members marrying a widow shortly after her husband died. Andrew, still mourning Rachel, agreed with the quick wedding, while all others thought a longer waiting period was needed.) Jackson’s daughter-in-law stepped in as acting First Lady until the scandal absolved, (after most of Jackson’s cabinet members were replaced). When Emily once returned to her role, it was the only time in history the White House had two First Ladies. Dedicated to remaining faithful to Rachel, Jackson never married again. It’s said he kept her portrait at the foot of his bed so she was the last thing he’d see every night and the first thing he’d see every morning. Though my March 1st release, Inheriting a Bride, is set in Colorado in 1885, the relationship of Andrew and Rachel comes up in a conversation between my hero, Clay Hoffman and heroine, Kit Becker, because Clay’s horse is named after the President. Blurb: Kit Becker travels to Nevadaville prepared to use any pretense necessary to discover why she must share her inheritance, and with whom. Clay Hoffman knows a thing or two about money-grabbing females, so when he finds one posing as his new ward, he's determined to get beneath every delicious layer of her disguises. 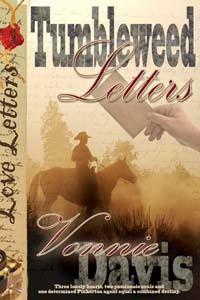 Discovering she's telling the truth, Clay is torn--he should be protecting her, not thinking about making her his bride! All he knows for sure is that he's inherited a whole heap of trouble! “My r—” She swallowed the rest of the word, aghast. The intense heat of mortification covered her face. “I do not have a boil,” she insisted. Right now, she was willing to try most anything. The pain had become unbearable. “Will it hurt?” she asked. She snapped her head up. The laughter was gone from his eyes. Sincerity and honesty shone there instead. I’ll mail a paperback copy of this book to a commenter. (Either here or since I know how frustrating it can be to comment on some blogs, you can send an email to Lauri at Izoom dot net.) Please include your email address either place. Thank you for allowing me to visit Sweethearts of the West, especially during February when you are discussing true love stories from the Old West. Historical love stories, whether real or fictional, warms our hearts and reminds us this powerful emotion knows no generation or century. one copy of A Man for Annalee--new release today! What kind of love story could I write? Could I, someone who typically writes contemporary romance, pen an honest and engaging historical love story? It would take a lot of research, deep research. I smiled because I dearly love digging and delving into old books and articles. Still, the big question remained: What era would I write about? Then, one night when I was in that fragile, fluttery state between wakefulness and sleep, a man rode a dark stallion into our bedroom. In front of him on his saddle, the man had a small boy tucked against his stomach. A tumbleweed rolled across our tan carpet, spooking the man’s horse. The horse spun and the rider glanced my way. “I need a wife to raise my son and warm my bed.” Then the vision or dream faded. 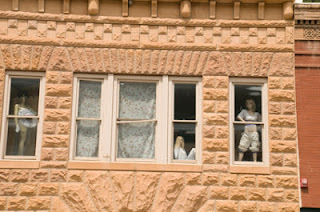 The sight made me wonder how would a widower raise a child on his own? Pioneers led such isolated lives. We’ve read many stories about women left alone to care for the land and her children, but what of men? How did they do it by themselves? I began researching with energy and excitement, gaining a wealth of information. 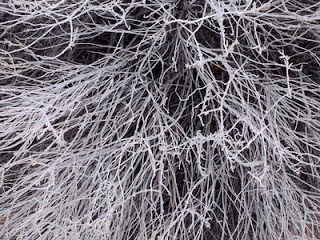 Tumbleweeds, for example, originated in the Ukraine. Their seeds were brought over to America by mistake mixed in with flax seeds. The settlement of Deadwood, the location of my story, began in the 1870’s and had been described as illegal since it lay within the Black Hills territory granted to the Lakota People in the 1868 Treaty of Laramie. In early 1876, frontiersman Charlie Utter led a wagon train to Deadwood containing needed commodities, gamblers and prostitutes. With demand high for women, the business of prostitution proved a thriving business. 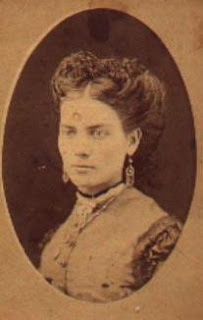 Madam Dora DuFran eventually became the most profitable brothel owner in Deadwood. I dug and dug until I finally found the name of her brothel—The Green Front Hotel and Theater. Madame Dora, who coined the term “cat house”, became a friend and occasional employer to Calamity Jane, who sometimes worked as a prostitute. This Madame was also said to have a “heart of gold” and often provided nursing services to those who were ill. I read about a smallpox epidemic that went through the area in 1878 and knew that was how my hero’s first wife died. During this same time, in the mining regions of Luzerne County in Pennsylvania, the Molly Maguires were wreaking havoc on owners of mines and railroads. 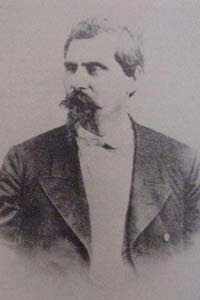 Pinkerton agents were hired to restore calm and to return some very valuable stolen jewels and bonds to railroad owners. Now I knew why my heroine had run from her home back East to the Wild West to start a new life. 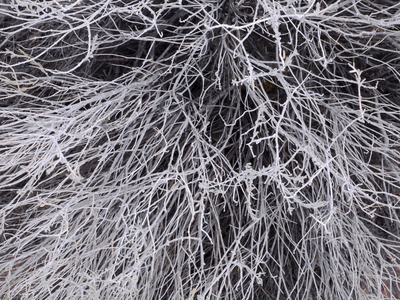 Slowly facts coalesced with fictional ideas—and Tumbleweed Letters set in 1879 was born. So was a romance; a romance between three people—a lonely widower, a woman on the run and a little boy who needed a mother’s love. When rancher and single father Cam McBride finds a letter tucked in a strip of cloth tied to a tumbleweed, he is captivated by the mysterious author. Finding a second tumbleweed letter further pulls him under the lonely writer's spell. He needs a mother for his little boy and a wife to warm his bed. Could this mysterious woman fill his needs? Sophie Flannigan is alone, scared, and on the run from a rogue Pinkerton agent. She spends her days as a scrub lady at Madame Dora's brothel and her nights writing notes to the four winds. Her life holds little hope until a small boy lays claim to her and his handsome father proposes an advantageous arrangement. Fingers touched Sophie’s arm. “My name is Cam McBride, ma’am. I’ll gladly buy you a new dress or pay for a bolt of calico.” His deep voice raised gooseflesh on her arms. Sophie nodded and made a beeline for the door. For some reason, she wanted to get away from this man. “Ma’am?” Footsteps echoed behind her. “Your name?” His hand wrapped around her wrist, feather light, yet firm. Her stomach fluttered and her mouth went dry. She shook her head and tried to move away. “Where do you live?” His grasp on her tightened. His hand fell away, and she hurried out. 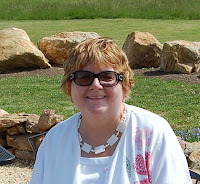 Jethro Rhinehardt leaned against the pillar when she stepped out onto the porch. Although she couldn’t see the man’s face, she recognized his build and mud-splattered canvas duster. If she hurried, she might sneak past without his noticing her. She’d have made it, too, if a nail poking out of the porch hadn’t snagged the twine on the bottom of one of her shoes and ripped it, causing her to stumble. “Well, well, little Miss Scrub Lady.” He turned and side-stepped, blocking her path. For a heavy man, he slithered quickly, just like the snake he was. Sophie tried going around him, and he stepped to the left, stopping her again. “Can’t you say good morning? Or are you too high and mighty?” He spit tobacco juice on the porch, and it splattered against her skirt. “Good morning, Jethro. Now please let me by. I have errands to run for Dora. I can’t afford to lose my job.” She stepped to her right this time. Once more he slid in front of her. To her surprise, he grabbed her around the waist and lifted her so they were eyeball to eyeball. Tobacco juice stained his scruffy beard that reeked of something foul. Her stomach lurched and she fought to swallow the bile. She still clutched the folds of material over her petticoat, determined this man would not see her undergarments. Jethro’s eyes darkened and his jaw clenched. First the bear of a man shook her and then he had the audacity to slide his paw over her rump. Men—miscreants, really—circled them. A few called out obscene suggestions for Jethro. There were hoots and hollers. A few men laughed and pounded Jethro on the back. She fisted her hand and punched him in the nose. Blood splattered onto her bodice. Sophie’s head whipped around to locate the man who’d spoken in her defense. Cam’s face was a dark mask of fury. He slowly set his son on the porch and laid his purchases at the child’s feet, his gaze never once leaving Jethro’s face. When he straightened and stepped toward the dirty man, her captor set her down. 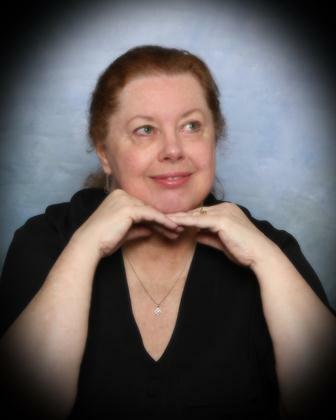 Vonnie Davis is a retired technical writer who has traded in her tailored clothes for the feathered boa of a romance writer. Retired, she and her husband, who is also a published author, live in south-central Virginia. 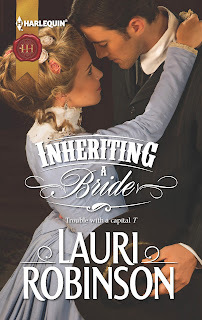 She pens most sub-genres of romance and has a new historical release this week, A Man for Annalee set in Wyoming in 1871. She’ll be giving away two copies of Tumbleweed Letters and also one copy of A Man for Annalee to three commenters drawn from her husband’s hat. So make sure you leave a comment.